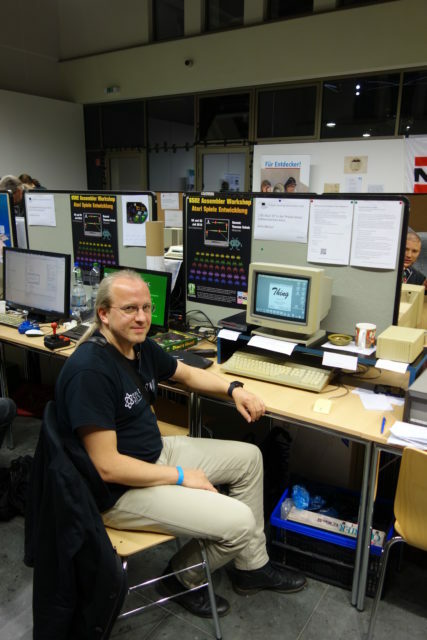 In October 2016 I participated the Vintage Computing Festival Berlin (https://vcfb.de) for the first time – with my old Atari 1040STe which still works fine even after 20 years. This is especially impressive for the harddisc. 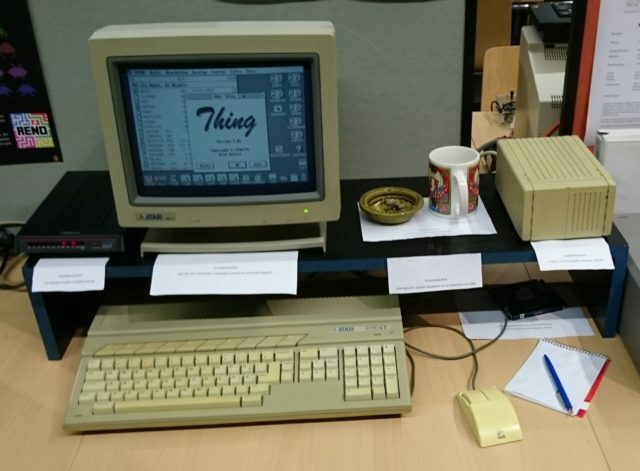 There I showed how I developed my alternative desktop “Thing” and I explained the programs which I used for that (PureC, Interface, Everest and others). About the decoration: No, I did not start smoking again. The ash tray was used by a friend of mine before. But back then (1996) I still smoked and I wanted to create an authentic environment together with the coffee cup and the chocolate on the table ;-). There were also many other interesting things to see and here. Entrance is for free and maybe wo you are interested to visit the VCFB next year, where it will take place in a new and bigger location.